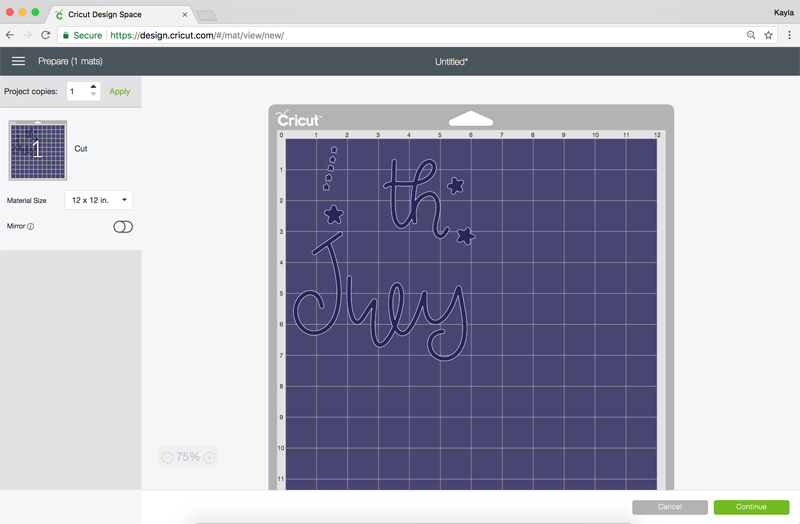 Hey Cricut buddies! Kayla here from Kayla Makes to tell you that, in my opinion, there is nothing better than a pool party surrounded by family and friends! 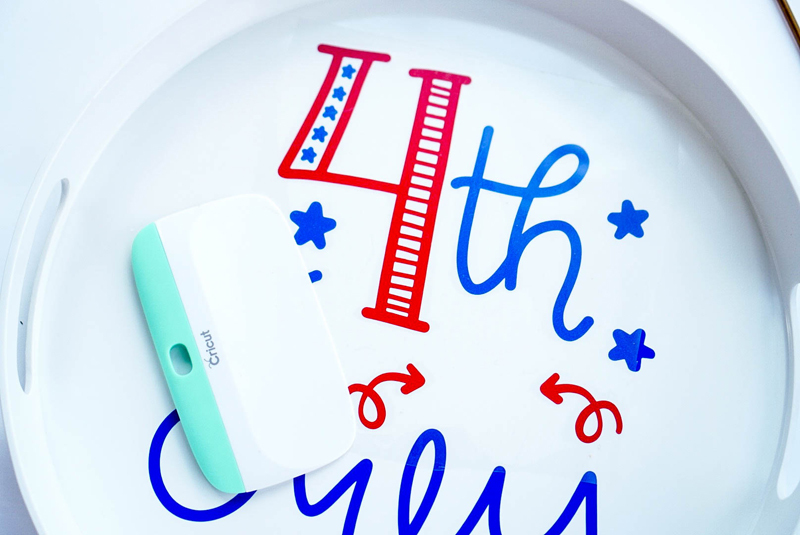 It's even more fun when it's a patriotic filled July 4th celebration. 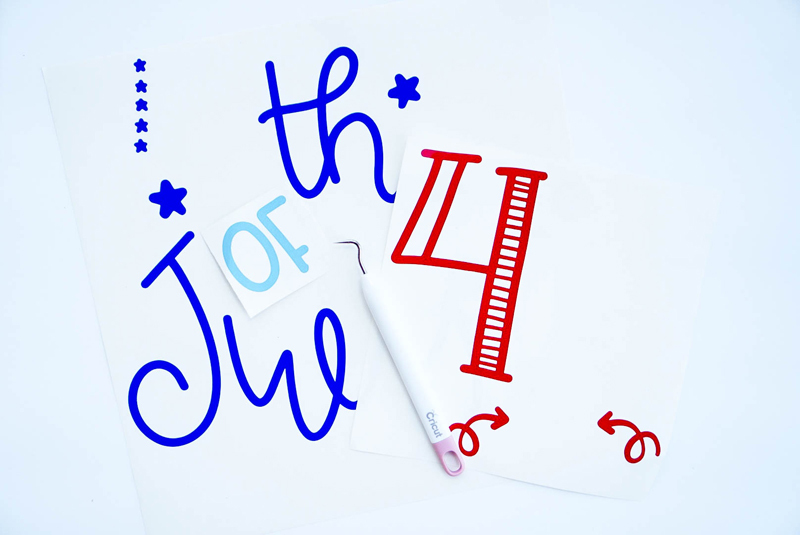 Today, I'm showing you 3 easy DIY's you can craft up for a backyard pool party on Independence Day. Most of the time, whether you're using a design from Design Space or one you've purchased elsewhere, the elements will be grouped together. Ungroup them by clicking the ungroup button in the top right. You can get this SVG file from LoveSVG. To keep everything in place on the cutting mat, attach elements that are the same color by selecting them and clicking attach. Now when the design is cut, everything will remain exactly where it appeared on the canvas. Once each color has been cut, use your weeding tool to weed the designs. Apply transfer tape to the largest part of the design (blue for the one I'm using) and transfer each element onto the tray. 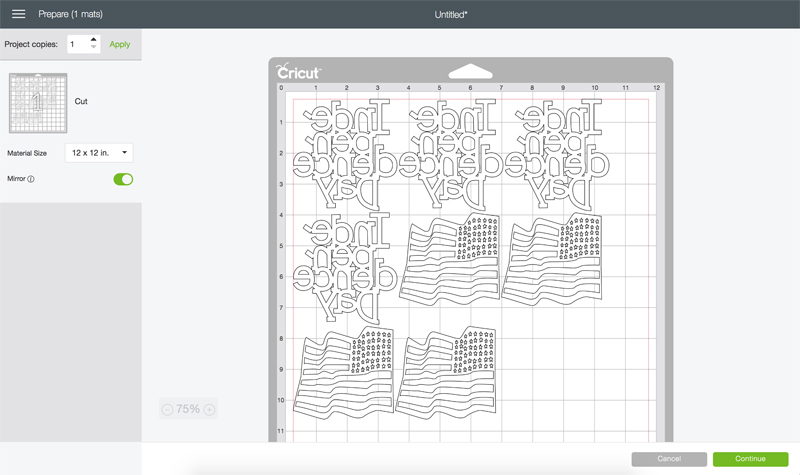 Use the scraper tool to burnish over the design. 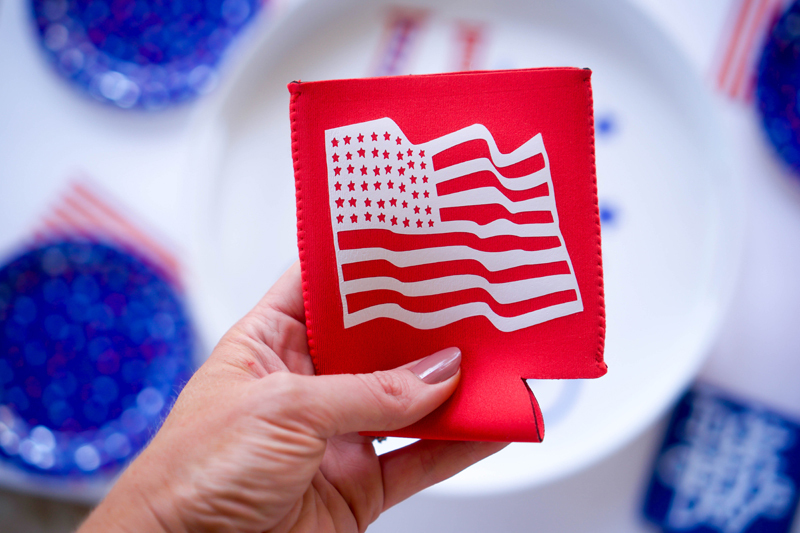 It takes less than 10 minutes to whip up a bunch of patriotic drink koozies! 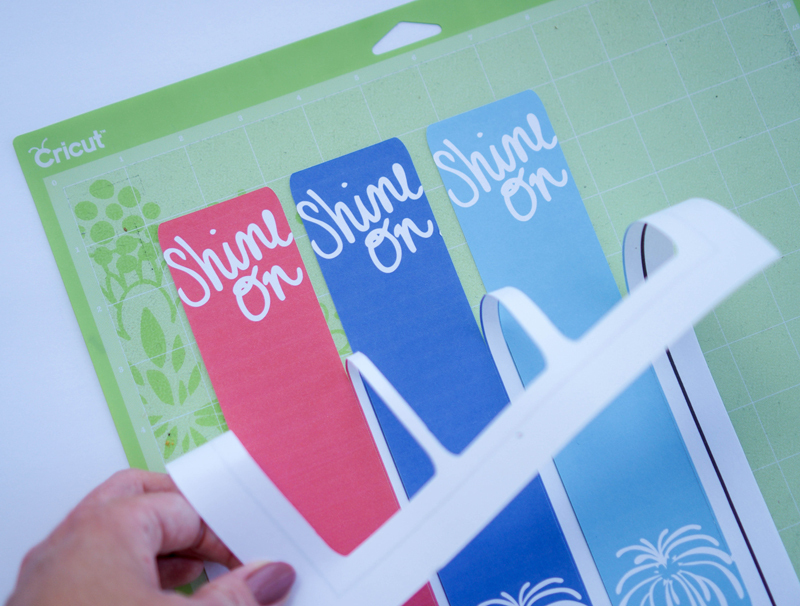 All you need is a roll of iron-on and a handful of blank can holders. 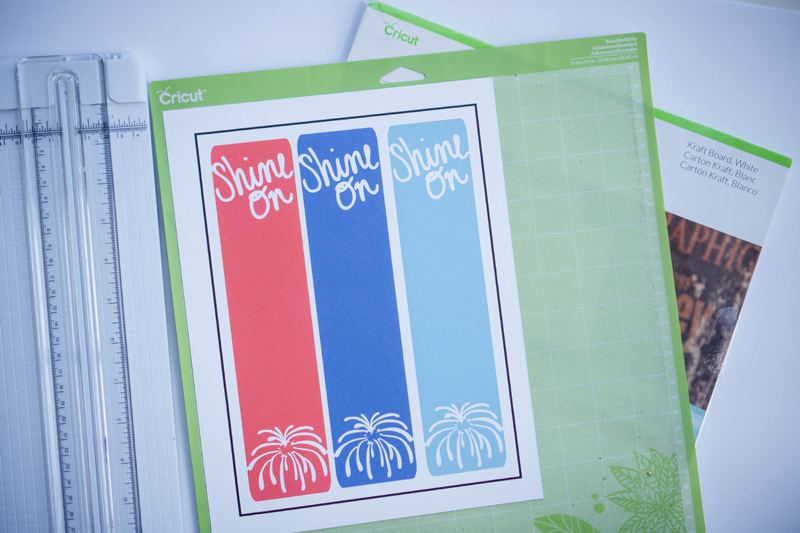 I'm using Cricut's Iron-on in white so I purchased red and blue can holders to stick with the patriotic color scheme. You can filter through the designs in Design Space by selecting Categories then choose a season, holiday or event. 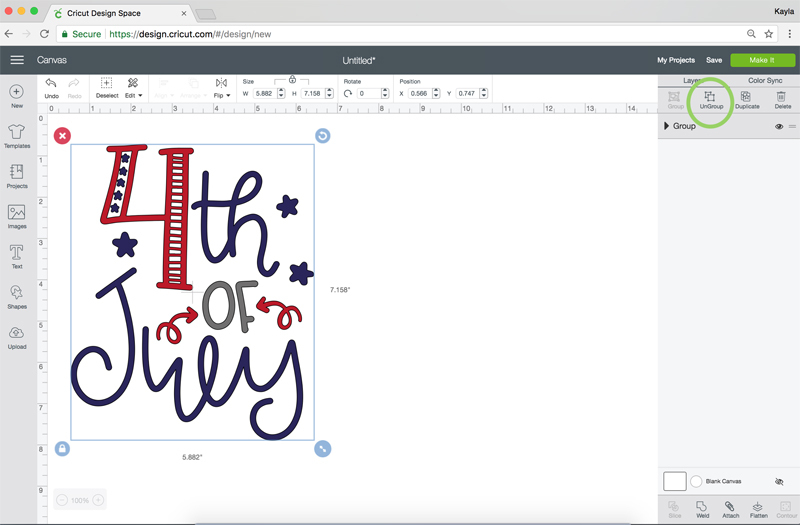 I browsed through the patriotic category and chose two designs I liked. The flag is Design ID #MF1BDE and the Independence Day phrase is Design ID #M472C9. 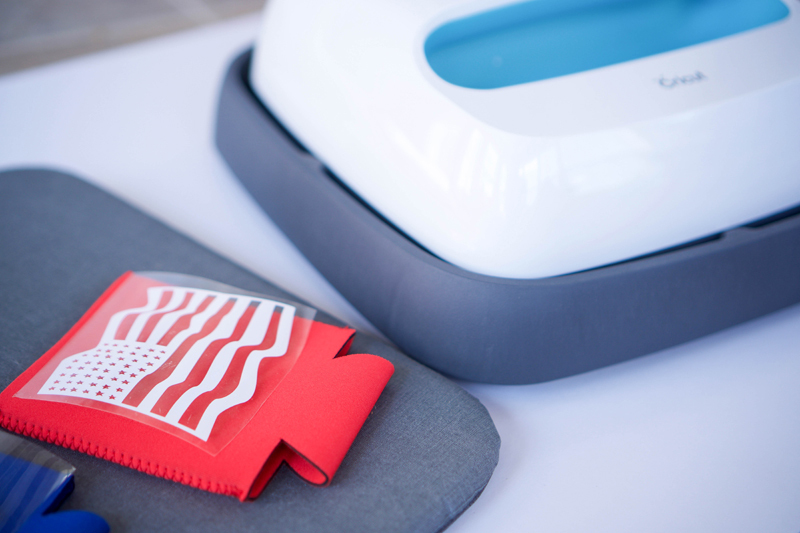 Place the iron-on on the mat, shiny side down and be sure to turn on the mirror function before cutting. After weeding, center the design on the can holder and press with the EasyPress for 30 seconds. I set mine to 320 and it worked well. These are so fun and so easy! Okay, so these may not be a necessity but they are super fun! 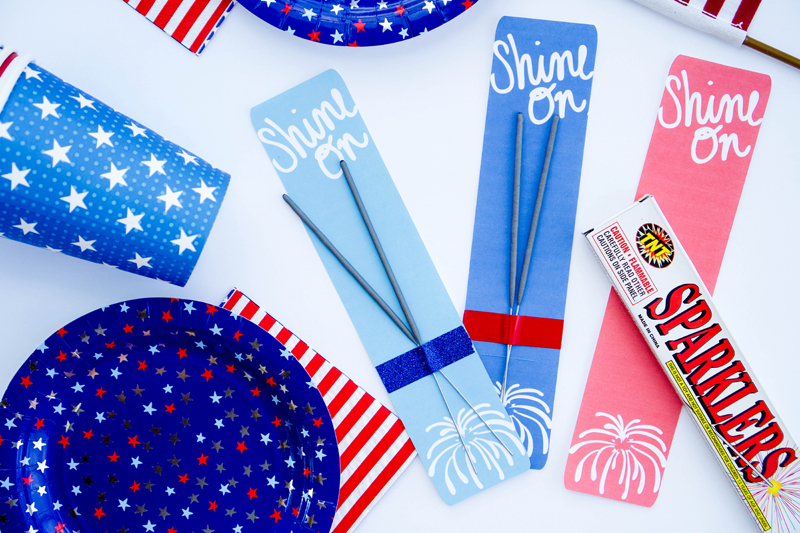 Make a bunch and fill a cute basket with them so guests can light up the night. Or, they can take them home as a party favor. Start by cutting down a sheet of Kraft Board to 8.5 x 11. I used my trusty Cricut Portable Trimmer. 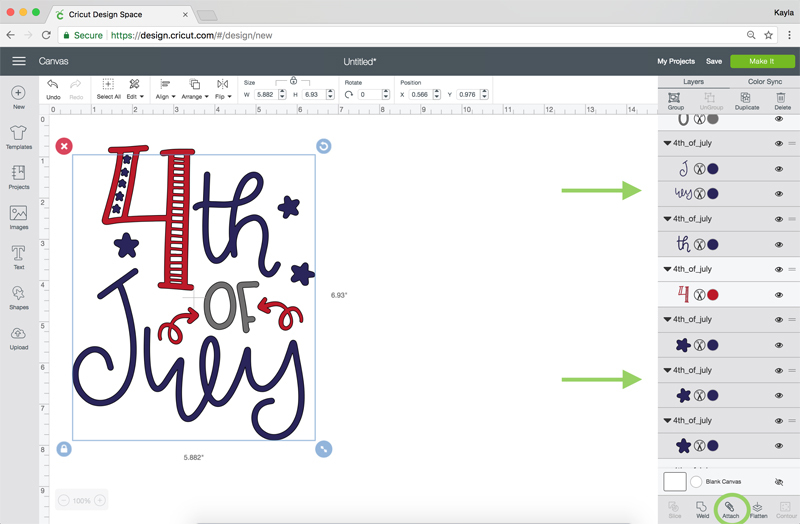 Load the Kraft Board into your printer and print the sparkler holder designs. 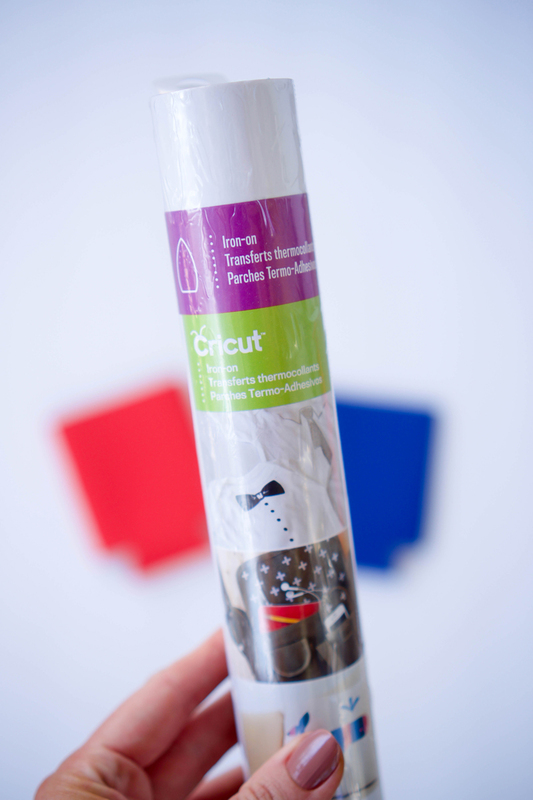 After printing, place the printed page on the cutting mat and watch the magic happen. The machine will read the registration box and cut around the images. 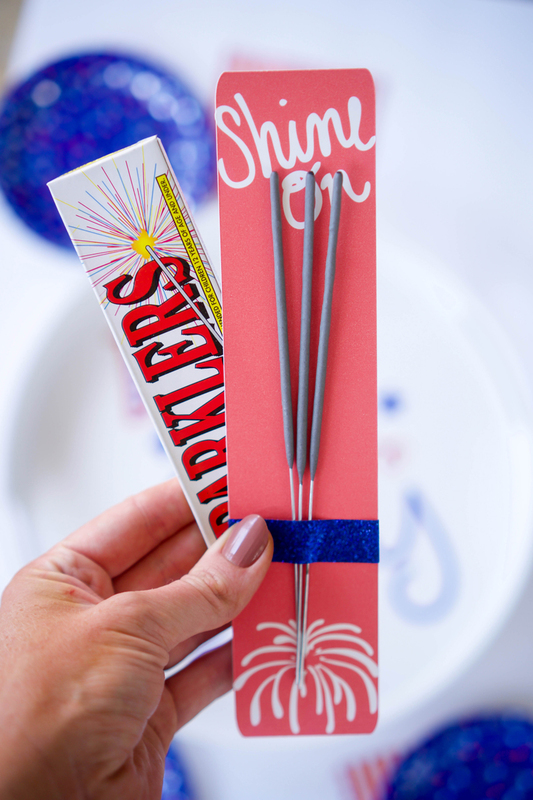 To finish them off I attached a couple of sparklers to each one with a piece of glittery washi tape! I think kids and adults alike will love these! 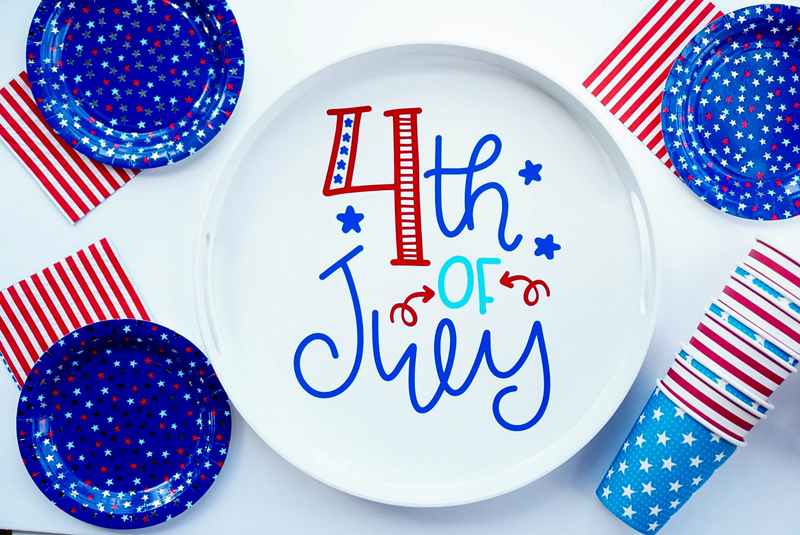 What kind of things will you create for Independence Day? Tag us online with #cricutmade!